After an auto accident, injuries present on their own schedules. Some affect you immediately, others can take weeks, months, or even years before you feel the full effects. A chiropractors job isn’t to cover up the symptoms. They work to address the cause of your pain, providing the opportunity for long-term relief. Auto accidents most often damage areas related to the muscles, nerves, spine, and soft tissue. 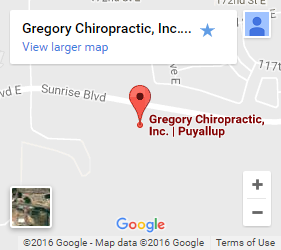 As an auto accident chiropractor in Puyallup, Dr. Bob Gregory at Gregory Chiropractic knows how to diagnose and identify damaged areas even decades after an accident has occurred. 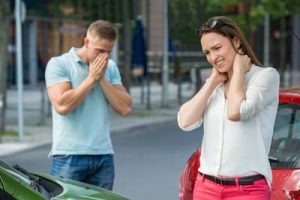 Using the latest chiropractic methods he can help you find relief from auto accident related damage. Stop living in pain. Contact us today. Find long-term relief with chiropractic care. Our patient-focused care. Our chiropractor doesn’t look at your injuries through a narrow lens. We don’t create a solution before meeting you and completing necessary testing. This ensures treatment is unbiased and isn’t based on the assumption of cause. That way we can identify the actual source of your pain for treatment. A family friendly environment. Many medical offices aren’t accommodating, but we recognize that our patients have lives to live. That’s why our office and care professionals schedule around your needs. We have an area where younger family members can safely play while their guardians are being treated. We know that auto accidents are discriminatory. Younger accident victims can be affected just as severely as older ones. That’s why we take age-specific patient needs into consideration when providing treatment. Breadth of services. Auto accidents don’t affect two people the same way. The results of whiplash can vary, depending on the speed, angle, and resistance of the vehicle in addition to the patient’s weight, sitting position, and height. We provide a wide range of treatments including manual adjustments, physical rehabilitative exercises, massage therapy, and more. Contact us for chiropractic care for your auto injury. Don’t live in pain any longer—you can recover. Restoring your quality of life starts with just one connection, so call or contact us to schedule an appointment with your local auto accident chiropractor in Puyallup.